5 Advertising Tips to Promote an eCommerce Shopping Site: Best Ways to Market an Online Store. If you own an eCommerce site, you’ve probably already found out how difficult it can be to get it to earn money for you. As you know, unless you promote your site to the world, your products will remain on your virtual shelves, and your bank balance will remain static. Thankfully, there are numerous ways to promote your business or website on the web, meaning your next sale probably isn’t far away. Each of these ways of advertising will naturally come with its own advantages and disadvantages. If you’re searching for a method that will generate you good income, our list of Five Different Ways of Advertising an eCommerce Site may just help provide the necessary inspiration. 5 Successful Methods to Advertise any Ecommerce Site or an Online Store. Banner advertising is probably the easiest and quickest mean of advertising an e-commerce site as it gets the results instantly. Banner advertising is simple, easier, and faster! Almost every brand uses banner ads today, more so in their starting or initial phase of promotion. As it is the most effective way to spread words about your business on the Internet web. If you are going to start with a very small eCommerce site and you think showing other sites banners won’t hurt your brand then you can make free banner advertising by using ” banner Exchanging” method. You can show your banner on other similar shopping sites and in exchange put their banners on your site. These days, there’s a forum for everything. Fishing forums, ballet forums, writing forums, you name it, there’s one that specializes in it. Business Forums are great Ways of Advertising. These business forums give you a chance to meet some targeted customers, if you play your cards right. By frequenting these forums and by putting your site link into your signature, you have the chance to attract some new customers. It’s important to mention though, play by forum rules and try to add something valuable to the discussion. Spam belongs in 1999. You may send hundreds of emails each day. Chances are, at least a few of those are going to people that would be interested in what you’re selling. By putting your site link into your outgoing email signature, you’ll give a very gentle nudge to anybody who receives your email, prompting them to check out your site. Email signatures aren’t the most prolific of advertising methods, but they can work well if you’re on a budget. Advertising to clients who have opted into receiving your marketing emails will almost always yield the highest conversion rates. This is because they’re already warm to you, your products or your business. You can build an email list suitable for a business eCommerce website by collecting email addresses in return for money-off vouchers, freebies or news updates. You can also include previous clients in this category, as they’ve already purchased from you so will be likely to do it again. Now we’re into the money section of the article. No, that’s not slang for the valuable part, just a literal reference to these tips costing money. Pay-per-click is one of the most efficient ways of advertising, solely because you’re targeting your products or services to those already somewhat interested. Only those with some degree of willingness to open their wallets will click on your ads and check out your page. Be warned though, this form of promotion can be expensive if not carried out correctly. Here’s an easy question: would you bother marketing your site if you could find somebody who would do it for you? Obviously the answer is no. Well that somebody (or something) that can help turn your eCommerce products into cold hard cash is Google. for via these engines, so being on them is crucial. You’ll also want to optimize your site so that you’re seen higher up on the search results. This can be done by creating a well-planned website, as well as proving yourself as an authority in your field by gaining valuable backlinks. This is called SEO way of Free Advertising. Your promotion methods will depend mainly on your budget. Paid methods usually bring with them the best results, but they aren’t without risk. 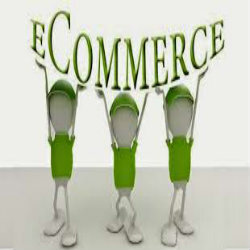 Perhaps the best way of advertising your eCommerce business website is by combining several of the above methods. That way, you’ll have your fingers in several different pies, so to speak, and will increase your odds of driving home those sales. Thanks for explaining the really good ways to increase referral traffic to our e-commerce website as Google search is not enough for the traffic! That’s very interesting idea! I see lots of startups business plans revolve around selling high-value ad space to brand advertisers. Thanks for sharing.